Not everyone who waited in long lines outside Apple stores earlier this month was buying a new iPhone for themselves. Many of those buyers were plunking down cash and then hopping flights to China to resell the new devices. But after the iPhone 6 and 6 Plus were finally cleared for sale in China a month after launching, it looks the party’s over for black market sellers—though the launch will likely send Apple’s revenue soaring. It’s tough to tell how many of the 10 million-plus iPhones Apple sold in three days were churned for a profit in China, but buyers were willing to pay $1,300 or much, much more for the device rather than go without. 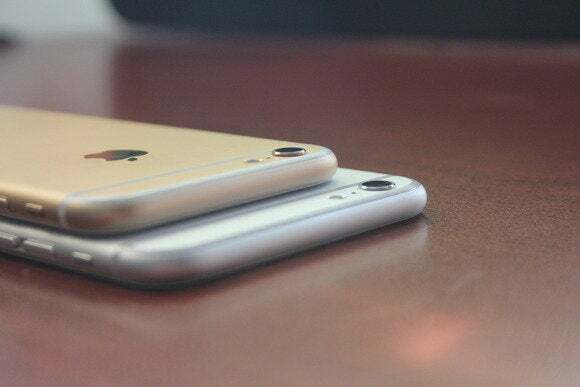 Now that China’s Ministry of Industry and Information Technology has approved both iPhones, which go on sale Oct. 17, Chinese buyers who waited will pay significantly less—the iPhone 6 starts at 5288 yuan, or $860.57. Both phones will be available on all three of China’s major carriers after a deal Apple inked this year with China Mobile. Apple will start taking preorders Friday, Oct. 10. The new iPhones go on sale in China on Oct. 17, with preorders starting Oct. 10. The company must be breathing a long sigh of relief. China is the largest smartphone market in the world, and with the new devices passing additional security muster, Apple may be spared future scrutiny. Regulators were reportedly concerned about Edward Snowden’s NSA leaks, which revealed that tech companies were allowing government surveillance through built-in backdoors in the services they offer. Apple has said that its phones have no such backdoors, and pointed the Ministry to iOS 8’s security protections. Regulators were satisfied by those reassurances. An already-dwindling iPhone black market will effectively be shut down, though smugglers were already finding it difficult to turn a profit after a glut of devices from Hong Kong diluted the supply. After announcing Apple’s partnership with China Mobile in January, CEO Tim Cook told the Wall Street Journal that making the iPhone available through the country’s major carriers would tamp down the “grey market,” because the market was “born out of many people wanting something that’s not available where they want to buy it.” If future Apple devices are subjected to the same inspections and delays in China that the latest iPhones were, the company will lose some of the benefits of those carrier partnerships—and some money—in the process.